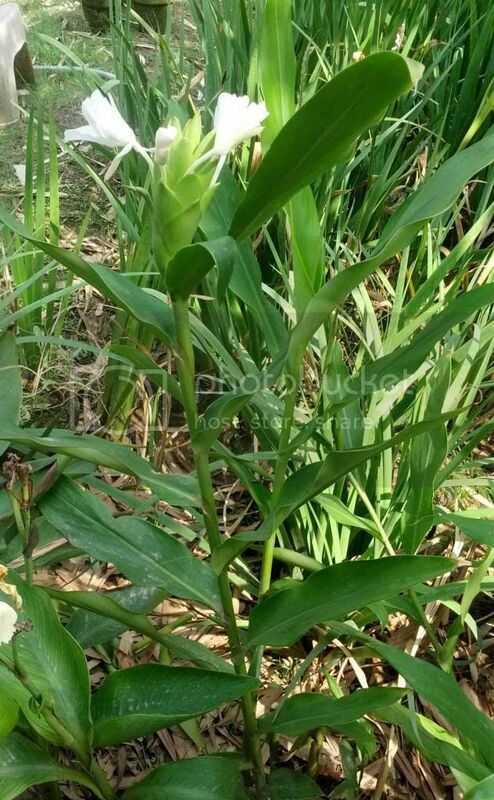 Immensely fragrant Hedychium or Ginger Lily is a plant is not very well known. Extremely adaptable to our climate, they prefer a moist semi shade condition to thrive similar to Cannas. 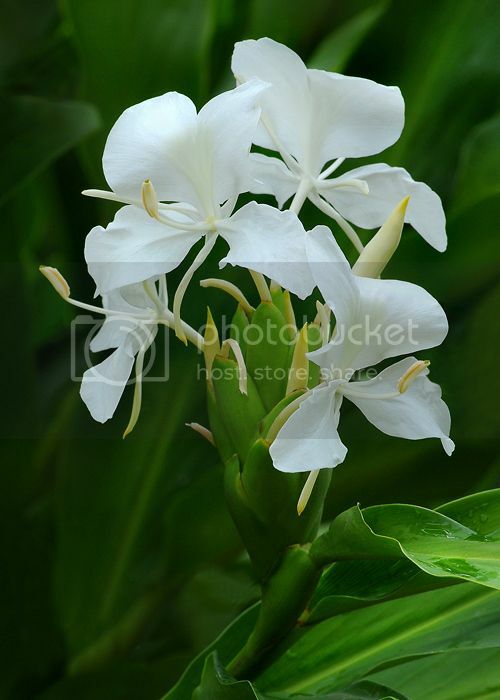 The fragrance of the white Hedychium Coronarium has a exhilarating smell that tends to lift your spirits and a cut stalk of Ginger lily flower tends to permeate the room with its fragrance within an hour. 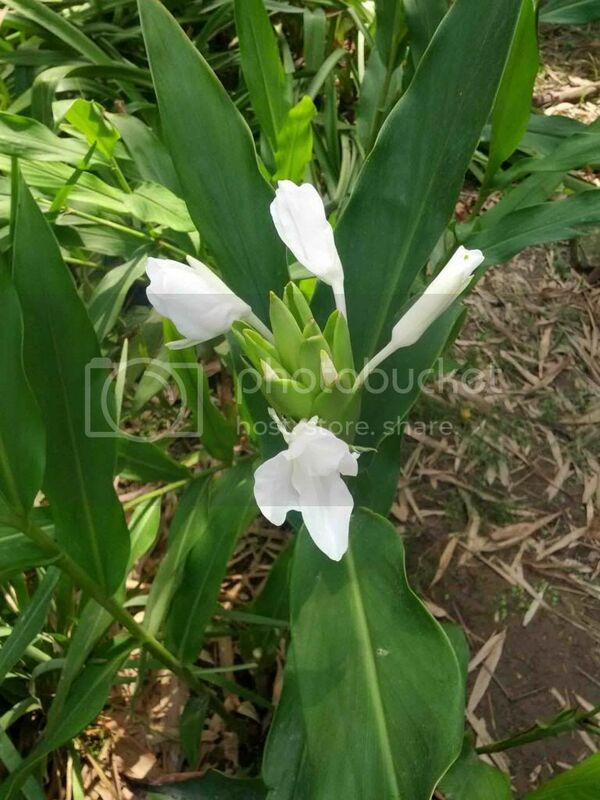 It would rate it along with Tuberose and Motia to be the three most fragrant plants. Mine are just surviving, I have changed the location, Let us see. Good to know it has strong fragrance. The above pictures are not of same specimen. You are growing only above 3 or you have more than 3 plants? Have 4 plants. Three shown above are of same specimen and 1 variety yet to bloom is supposedly red. Brig Sahib the key thing is location and they prefer moist semi shaded condition to thrive. The fragrance is heavy and is similar to that of our local white Honeysuckle. The only difference between aroma is intensity of the fragrance with Hedychium having heavy fragrance and honey suckle having mild. I am surprised that even on the "Gardening Discussion" page thread about three most fragrant plants, Hedychium wasn't mentioned. Never knew it was available here, your plant looks very healthy, so how to get it? I have a bright but no direct sunshine area in my garden for this rhizome beauty.. The thing about Hedychium is that it has there for a long time but usually people are not aware of it. It's commonly found in public parks like the Race Course Park. It ought to be available in Karachi and usually people at the nursery are not aware of their name and maybe if you can show them a picture then they will be able to recognize it. I had 4 spare rhizomes in March this year and ended up distributing. Hopefully next year i may have some more to share. The bright sunshine is morning sun? They thrive in moist soil and ideal location is where they can get morning sun and then shade during the afternoon in the summers. In addition they also require fertilization. Khurram sb, you seem to describe plants very well. Most of the plants, which you post, are new for me (and perhaps others). Have you thought about contributing a plant profile for the forum's database? All you have to do is to post a picture and exactly write what you have been describing here. We have more than 250 individual plants there with pictures. The list is slowly but steadily growing from regular contributions by the members. Thank you for the suggestion. Shall try to contribute and so far all the contributors including yourself are doing a fantastic job and i must compliment you for taking time out of your busy schedules. Whenever i am posting a thread, sometimes i tend to give details purposely as i feel that one should also guide or apprise members who might be unfamiliar with the cultivar being mentioned. The only drawback i see in the compilation of the plant database that there might be double entries for the same specimen and moderators would need to check periodically to ensure that double entries are avoided and a filter can be built in on the basis of a plant common name or botanical name which can inform a member filling an entry that the particular cultivar exists in the database. This mistakes can easily be avoided if members can check the database alphabetically prior to filing an entry. Last edited by mikhurram on October 1st, 2013, 10:52 pm, edited 2 times in total.